Obituary for Jasper Walker | Dickerson Mortuary LLC. The family of Mr. Jasper Lee Walker, Jr. announces his celebration of life services which will be held on Saturday, February 16, 2019 12:00Noon at Nichols Chapel AME Church 57 Kennedy St. Charleston, SC. Interment: Carolina Memorial Park. Mr. Walker was proceeded in death by his daughter, Octavia Moore; his parents, Mr. Jasper Lee Walker, Sr. and Mrs. Annabelle Walker; his brother, Mr. Ricky Walker and his sister in law, Hilary Davis. 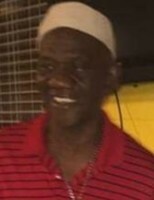 He is survived by his children, Antwaun Williams, Latasha Williams, Jasmin Dawson, Kiara Vice Walker, Julisa Wilson, Jalya Walker, and Jay'Veon Gadson; his siblings, Mr. Edward Alston, Ms. Louvenia Walker, Mrs. Barbara Walker, Ms. Betty Richardson, Mr. Soloman Walker, Mrs. Jacqueline Walker-Walton (Matthew), Ms. Rearthuree Davis, Mrs. Paulette D. Brown (Shelton), Mr. Zola Davis and Mr. Elmoe Watson; his special friend, Danielle Thompson; grandchildren nieces, nephews, other relatives and friends. The family will be receiving visitors on Friday, February 15, 2019 at Harvest Point Church Center 4870 Piedmont Ave. N. Charleston, SC from 6:00-10:00PM.